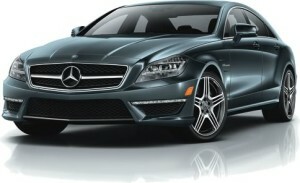 Consult Mercedes-Benz of Bloomfield Hills for further details. Please visit Mercedes-Benz of Bloomfield Hills for a copy of the Mercedes-Benz Certified Pre-Owned Limited Warranty and the Mercedes-Benz Certified Pre-Owned Extended Limited Warranty. You’re driving one of life’s luxuries: a Mercedes-Benz Pre-Owned vehicle. Be sure to talk to a Mercedes-Benz of Bloomfield Hills representative about properly caring for your investment with Mercedes-Benz Pre-Owned Prepaid Maintenance. It’s the smart, convenient way to ensure your vehicle’s required maintenance needs are taken care of the right way. Mercedes-Benz also offers flexible payment options. Please contact Mercedes-Benz of Bloomfield Hills for more details. See the most Frequently Asked Questions about the CPO Vehicle Warranty. Q: Do all Certified Pre-Owned Mercedes-Benz warranties really include unlimited miles? A: Yes. For vehicles purchased on or after January 15, 2014, we’re proud to offer our standard 1-year Limited Warranty as well as our available 1- and 2-year Extended Limited Warranty coverage with unlimited mileage*. *Applies to Certified Pre-Owned Mercedes-Benz vehicles purchased on or after January 15, 2014. Please see your dealer for full details, limitations, and a copy of the Mercedes-Benz Certified Pre-Owned Limited Warranty and optional Extended Limited Warranty. A: Your Mercedes-Benz Representative is trained to answer any Pre-Owned Mercedes-Benz questions, including those about the Extended Limited Warranty program. As a Mercedes-Benz customer, you’re never further than a free phone call away from the Customer Assistance Center (1-800-FOR-MERCEDES) with a representative standing by to assist.